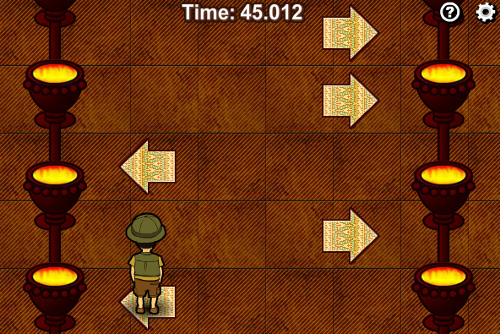 Description Control the treasure hunter to get to the treasure as quickly as possible. Press the arrow keys according to the arrows shown to make the hunter jump to his destination. Controls Press the arrow keys according to the arrows shown.